Well here we are, March 1st and I find myself looking out the window at the falling snow as we fill the jug of hot water for the small coop that houses our four bantam chickens. I expect the snow, but what’s with the January temps?? I sure picked the right winter to join my husband in retirement, but now I’m ready for spring!! 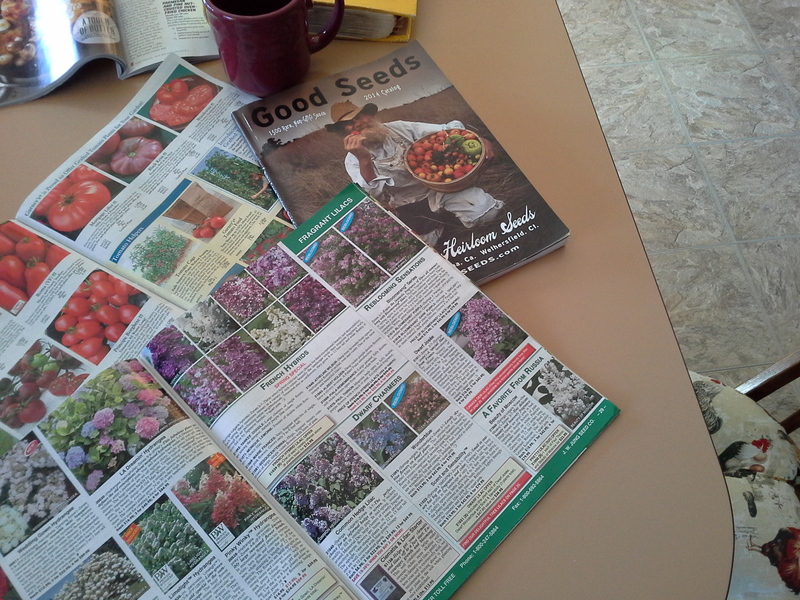 Actually I was preparing for spring already in January when the seed catalogs arrived in the mail. I really enjoy sitting down to a cup of coffee and making out my list of “must have” seeds. Before I end up with an order that reaches well into the hundred dollar range, it’s time to visit the”seed box”. I found this plastic tackle box at a yard sale. It’s great for keeping things close at hand when working in the garden. Not only do we keep our seeds in the tote, but the tray insert is a great place for our plant tags, marking pen, nipper, scissors, twine, and other small useful items. 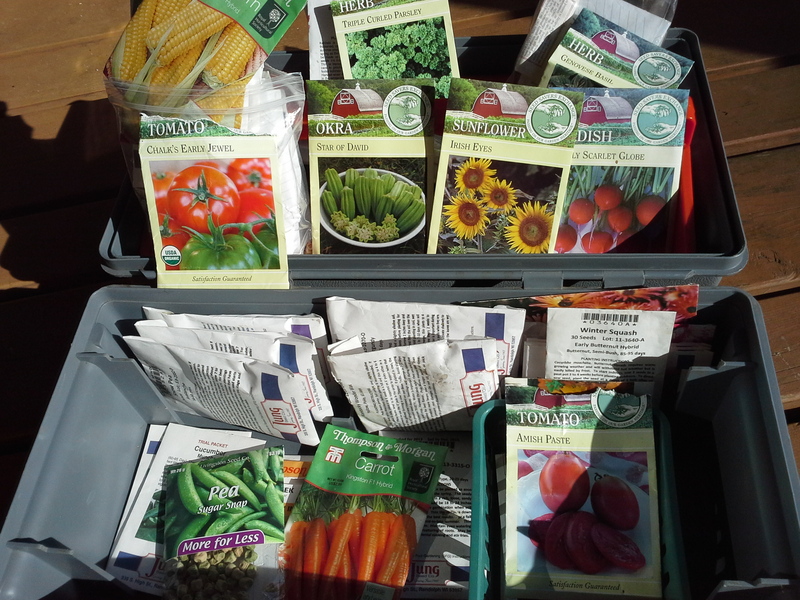 Looks like we have plenty of seeds, but it wouldn’t be spring prep without ordering just a few . . . right?? Mother Nature – let the spring thaw begin . . no really, PLEASE WE NEED WARMTH!!! 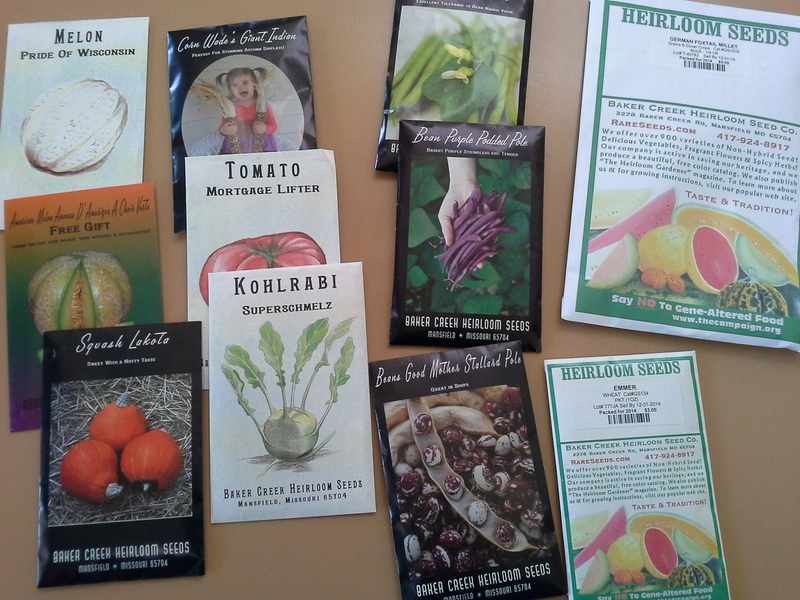 Looks like there is a lot of potential for seed swapping this year, should I bring everything or just the ones I am starting? Please do bring it all – so much fun to share. I think it’s the best way to try new things and share the cost. 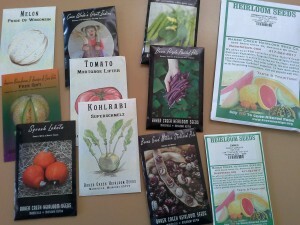 There are usually way more seeds in a packet that the typical gardner will use in a season.